Looking for your stats? Just click "Look up a Player" in the left-hand margin, then you can look yourself up by typing your last name. Be sure to find all three reports about you: (1) Player Profile, (2) Game History, and (3) Progress & Achievements. When you navigate around this Web site, you will notice that players' names are nearly always clickable. Whenever you click on a player's name, you will have access to three different "reports" about that player: (1) the Player Profile, (2) the Game History, and (3) Progress & Achievements. Each of these reports presents useful and interesting information that can help players (and coaches) fine tune their course of study and practice. Explore these reports and become familiar with them. From our home page you will be able to find the names of many masters and grandmasters. You can also look up players whom you know. Helpful hint: From anyplace within the CXR site, clicking the big CXR logo at the top left will take you back to our Home Page. Explore the other features listed in the left-hand margin and across the top of the Home page. In our tournament listings, click to see the details of any event, including a link to that tournament's "Wall Chart". Click on that link and you'll see CXR's enhanced wall chart for the event, where you can click on the name of any of the competitors. You can even download our free chess toolbar, which has many interesting features including links to recommended chess sites. We believe that once you see the power of CXR, and appreciate its value, you will wonder why anyone wastes their time (and money) on anything else. If you have a Premium Membership ($7 per year), you are able to log in and, at your option, record additional information about your games, which may enable us to generate additional statistics related to your opening and endgame play. You are also able to record private notes on your games -- notes that other players (and even your coach) cannot see. 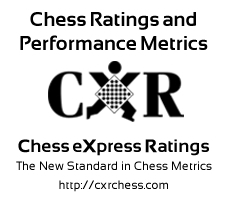 CXR is far more than a mere chess rating. Here, you can find in-depth information about each player: dozens of helpful statistics; important achievements (including the new scholastic titles); highly useful charts and graphs; even the occasional advice from our chess-bot, Doctor Kibbitz. The CXR System is based on our core belief that only one, single number -- a rating -- just cannot tell you very much about a player's particular strengths and weaknesses. We think that chess performance should be seen in "high definition". The many dimensions of a player's style require professional sports statistics -- just like in baseball, soccer, football, hockey, and hoops -- in order to optimize the path to improvement for each, individual player. This website is not for playing chess online. Nor can you report your own game results here. Only CXR-affiliated clubs, coaches, and Tournament Directors can report your game results to us. 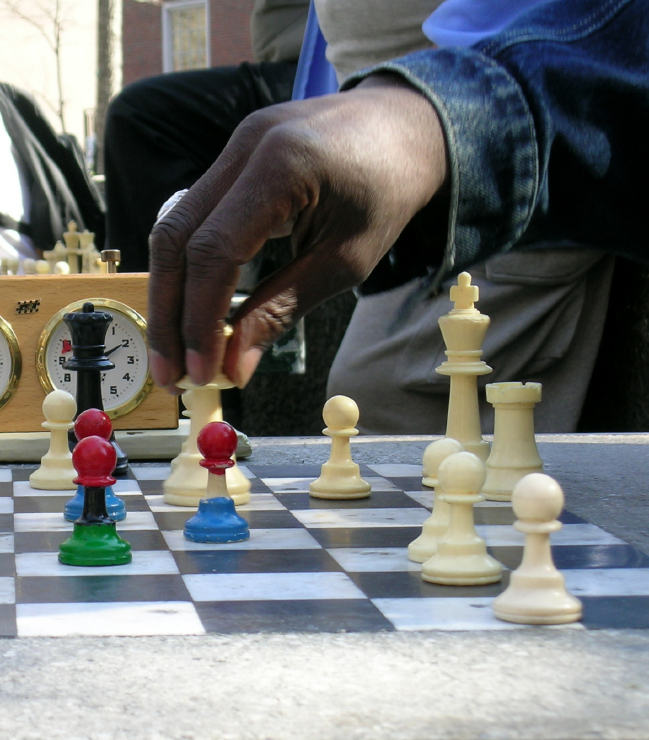 You can only become a CXR player through a CXR-affiliated chess club or by playing in a CXR-rated event. If your chess club is not already affiliated with CXR, please let them know that there is NO COST (and NO recurring affiliate fee) to be a CXR affiliate. Helpful hint: Have a question? Click on "Contact CXR" from the menu items across the top of the page, or phone (718) 793-5995.